Who doesn't like to sleep? Especially now in the winter when it is so cold. Get into bed, curl up under the blanket and slip into the land of dreams. It turns out that so many people like to sleep, that someone invented a special holiday for sleep - the Festival of Sleep Day. 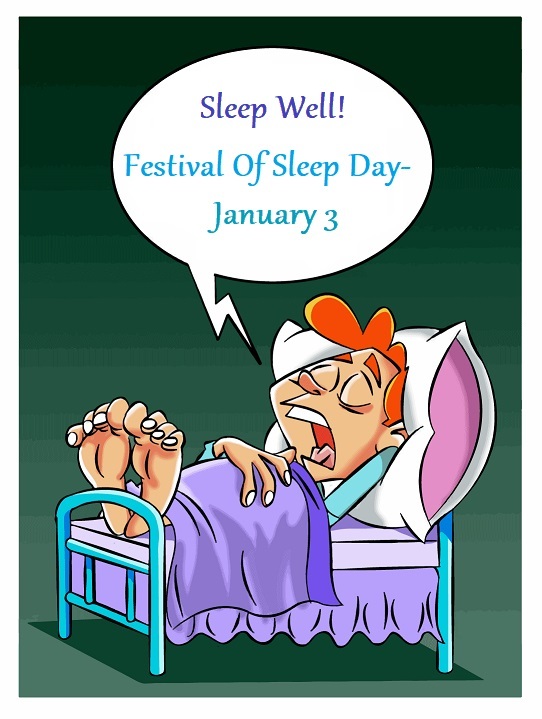 No one really knows when this holiday was created, but it was invented by someone who has a deep love for sleep. Sleep is a basic human function that helps our body regain its energy for the next day, keep the mind sharp and ready for action. A lack of sleep can be fatal to the human body and soul. Lack of sleep in the modern world may cause people to make accidents with vehicles, or other accidents. Lack of sleep can make us do stupid things. Sleep plays a vital role in our processes of thinking and learning. Lack of sleep disrupts these processes and therefore causes us to lose vigilance, concentration, attention, thinking and problem solving. Sleep also helps memory. During sleep, the brain processes the experiences of the day and thus keeps them in memory. It is known that during the course of studies it is important to sleep enough hours a day to process and remember the material in order to succeed in the tests. Lack of extreme sleep may also cause serious health problems like heart disease, heart attacks, heart failure, irregular heartbeat, high blood pressure, stroke and diabetes. So here you have enough good reasons to go to bed. How to celebrate the Sleep Festival? After finish the chores, the work, the studies and all that is necessary, wear pajamas and go to bed to sleep. It's true that every night we go to sleep, at least most of us, but for the sleep festival, we'll skip TV series or dates or anything else and go to bed early.